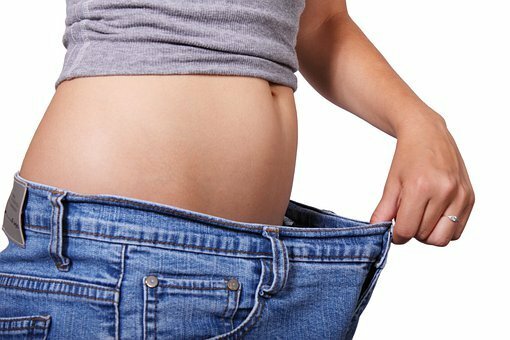 If you are looking to reduce your stubborn belly fat and have failed many times then have a look at these simple Top 6 effective exercises to burning stubborn belly fat which can give you a real result in combination with the right diet and lifestyle. Let's start by disproving one of the biggest myths in the health and fitness industry which is you can specifically burn belly fat. The body burns fat by releasing chemicals into the fat tissue these chemicals then metabolize the fat and convert it into energy. This is why it is impossible to target fat loss to any individual part of the body. To trigger this chemical release you just burn more calories than you consume. Squats are by far one of the most effective weight loss exercises you can do. This is because they are a high-calorie-burning exercise and are very easy to perform. When doing squats you will find you are able to do more squats on average compared to most exercises. Click here to learn how to do a squat. The Deadlift is similar to squats as it is a high-calorie-burning exercise. Deadlifts are also very easy to achieve a high amount of reps like as are squat. However, deadlifts require weights and are a slightly more complicated movement. Click here to learn how to do a Deadlift. Push-ups burn more calories but you can do more reps of knee push-ups than you can do of normal push-ups. We recommend sticking to knee push-ups and increasing the reps because it is more effective. However, if you are already effective at normal push-ups you might as well do them and try increase performance. Click here to learn how to do a push-up & knee push up. Chin-ups are the highest calorie burning bodyweight exercise. However just because they burn lots of calories per rep doesn't mean its a highly effective exercise. Chin-Ups are a hard exercise to perform and takes time to be able to do lots of reps. We recommend working Chin-ups into your routine to build up effectiveness with them once you increase your performance they can be an extremely effective weight loss exercise. Click here to learn how to do a chin-up. Calf raises are an extremely easy exercise to do. This is not a high-calorie-burning exercise but if used correctly it can be a very effective exercise. We recommend you do sets of at least 10 reps in between each exercise in your routine. No more breaks from now on instead of resting between sets do a few calf raises. Click here to learn how to do Calf raises. Most ab exercises burn very little calories and are extremely ineffective for weight loss. However, Leg Raises are the exception to the rule. Leg raises are not a high-calorie-burning exercise but they are the highest calorie burning ab exercise. We recommend you include this ab exercise into your routine to build up your abdominal muscles and burn fat. Click here to learn how to do leg raises. 4 Types of bad weight loss Exercises you should avoid? There is nothing wrong with these types of exercises they all have a particular purpose just not weight loss. However, We do recommend including these types of exercises into your workout as they can have lots of health benefits. Knowing Top 6 effective exercises to burning stubborn belly fat will only get you so far Click here to read more about 4 Types of bad weight loss Exercises you should avoid. If you enjoyed our Top 6 effective exercises to burning stubborn belly fat feel free to like, share and comment down below any questions you may have.